Overcome any language barrier with expert phone interpreting available on demand. Communicating with precision is critically important in global business—especially with medical or technical subject matter. This can be challenging when the need arises to communicate with customers, patients or colleagues who speak little to no English. Language Scientific offers On-Demand Phone Interpreting for individuals or organizations that need to communicate with non-English speakers within seconds. 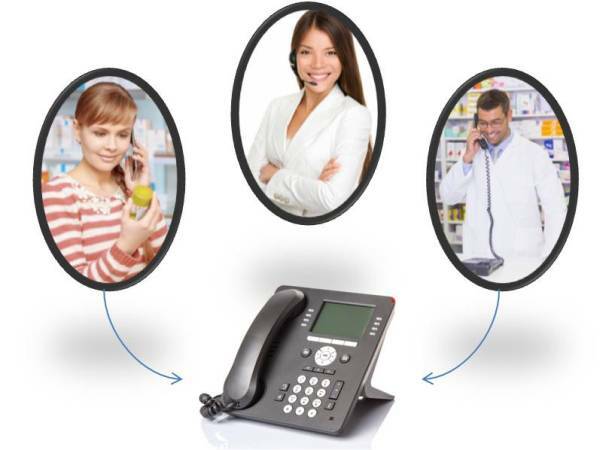 Call from any phone, and an operator connects you in seconds to a qualified interpreter. Get immediate access to trained interpreters in over 150 languages on a 24/7, 365 days a year basis. On-Demand Phone Interpreting helps companies, organizations, medical and legal institutions meet local, state, federal and international mandates for requiring high-quality interpreters. Offer the same great service to any customer no matter what language they speak. Use this service to discuss contracts, partnership, product specifics, general business or any information that can’t be communicated due to the language barrier. Communicate with limited English proficiency (LEP) patients. Provide equal access and enhance patient satisfaction. Reduce the risk of misdiagnosis or wrong prescriptions as well as the length and number of hospital visits. Comply with government LEP mandates. Available in over 150 languages 24/7, 365 days a year. No pre-scheduling of calls necessary. Ease of Use—Simply dial a toll-free number, tell us your account number and language pair and access our expertly trained interpreters within seconds. No special equipment needed. Complete Confidentiality—All our interpreters sign a strict code of conduct and confidentiality agreement to safeguard your privacy. Fast—Dial the toll free number, select your language pair and connect with an interpreter in seconds. Pay Only For What You Use—Our service has no minimum fees, no minimum usage. Our On-Demand Phone Interpreting is competitively priced to meet your needs. This service has no monthly fees, no minimum fees and no minimum usage. Sign up with no obligation. Use this service when you need it; pay only for what you use. With Language Scientific, you do not pay for wait time. Pay only for actual interpreting time once connected. Our interpreters are available 24 hours a day, 365 days a year in over 150 languages for any subject matter from quick legal questions, to business interactions, to medical and hospital information. As part of our Advanced Scientific Knowledge network (ASKnetwork™), we have over 3,200 On-Demand Phone Interpreters worldwide, although a large number are US-based. These professional linguists work as professional interpreters and often as translators (of the written word). Request a male or a female interpreter for sensitive calls. All our interpreters sign a strict code of conduct and a robust confidentiality agreement to safeguard your privacy, providing assurance of absolute confidentiality and complete privacy. Expert Phone Interpreting That’s Simple To Use—Sign Up Now! Sign up for our service in minutes; connect with an interpreter within seconds. With our fast and easy setup, simply sign the agreement and immediately begin using this service. Dial into our state-of-the-art telecommunications system using a toll free number, tell the operator your account number and language pair and be connected in seconds with an expertly trained interpreter. Please call us at 1-617-621-0940 or email us at info@languagescientific.com to find out how Language Scientific can help you meet your translation requirements. Language Scientific is a US-based translation and localization services company. Our Advanced Scientific Knowledge network (ASKnetwork™) provides medical, scientific and technical translation services in all the major European, Asian, Middle Eastern, African and American languages. Subscribe to our quarterly Newsletter!